Former Sweden striker, Zlatan Ibrahimovic, has confirmed he will sign for Manchester United after leaving Paris St-Germain. The 34-year-old, capped 116 times for his country, was out of contract after four years at the French champions, the BBC reports. He will link up again with his former Inter Milan boss, Jose Mourinho, at Old Trafford. “Time to let the world know. My next destination is Manchester United,” the BBC quoted the striker as saying on social media. United, who finished fifth in the Premier League last season and failed to qualify for the Champions League, has not confirmed the move. Ibrahimovic is yet to complete a medical and sign a contract with the 20-time English champions. The Swede made his debut for hometown club Malmo in 1999 and went on to play for Ajax, Juventus, Inter Milan, Barcelona and AC Milan before joining PSG. He has scored 392 goals in 677 games and last season was his most prolific, with 50 goals in 51 matches – a record for the French club. A Federal High Court in Abuja has ordered that former Governor of Adamawa State, Adamu Umaru Fintiri be remanded in Kuje prison, Abuja. 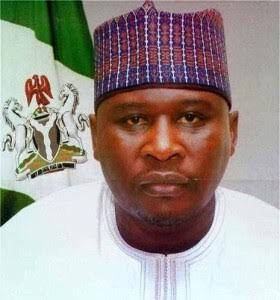 Fintiri was sworn in as acting governor of the state following the impeachment of the former state governor Murtalla Nyako on July 15th 2014. No fewer than 300,000 applications were received for the 750 positions advertised by the Economic and Financial Crimes Commission, an official has said. A ‎Federal High Court in Abuja has ordered a former Governor of Imo State, Mr. Ikedi Ohakim, to open his defence to debunk the charges of money laundering instituted against him by the Economic and Financial Crimes Commission. Justice Adeniyi Ademola made this order in a ruling on Thursday after dismissing the no-case submission filed by the former governor who had claimed that the evidence led by the prosecution to prove its case had disclosed no prima facie case against him. The EFCC on July 8, 2015, arraigned Ohakim who was Imo State Governor between 2007 and 2011, on three counts of money laundering. The prosecution accused Ohakim of purchasing a property at 60, Kwame Nkrumah Street, Plot No 1098, Cadastral ZoneA04, Asokoro District, Abuja with cash payment of $2.29m which was said to be dollar equivalent of N270m in November 2008. • Are you an ambitious young entrepreneur? • Do you have an innovative and great business idea? • Would you like to win N5 Million and A Brand New Car for your new business idea or existing business? • Do you have what it takes to compete with other tenacious entrepreneurs on a 10 week Reality TV Show? • Are you bold enough to face the Board of Judges in the boardroom? 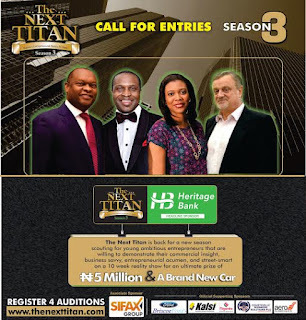 The search for The Next Titan Season 3 has begun, scouting for ambitious young entrepreneurs that are willing to demonstrate their commercial insight, business savvy, entrepreneurial acumen, and street smart for a Prize of N5 Million, a brand new car, and business supports/mentorship. But first, you’ve got to face Auditions! Auditions of the Season 3hold soon in Abuja, PortHarcourt, and Lagos. 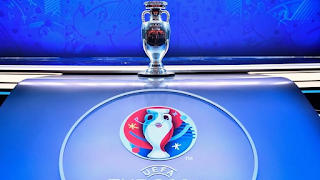 8 teams have now qualified for the quarter finals stage of EURO 2016 as they battle for the crown of Europe's best national team side. Born June 24, 1987 in Rosario, Argentina. * Messi played a key role as Barca claimed six trophies in the calendar year of 2009 including the Champions League, La Liga, the King’s Cup and the Club World Cup. 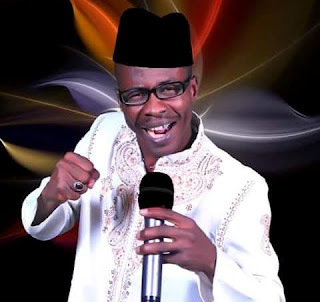 A popular musician based in Adamawa State, Ado Daukaka, has gone missing hours after his new song titled "Gyara kayanka" condemning some politicians in the state, hit the airwave last week Friday June 24th. According to Premium Times, Daukaka left his home in the early hours of Saturday June 25th to attend an early morning prayer at a mosque and never returned. 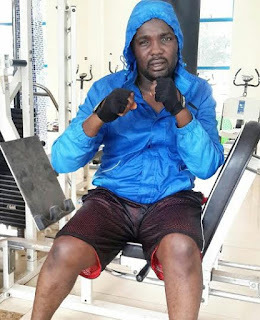 One of his relative, Atiku Mustapha, says his disappearance is not unconnected with his new song ”Gyara kayanka” where he alleged that some elected politicians of the ruling APC were deceiving the electorate. ‘’It is not surprising that he could be abducted because of his song because in his new song in which he compared the present and past elected members of the Adamawa State House of Assembly. The way and manner things are happening will not augur well for the state. "My contract was always up after the Euros so now is the time for someone else to oversee the progress of this young, hungry, extremely talented group of players. 'They have been fabulous and they have done everything that was asked of them. 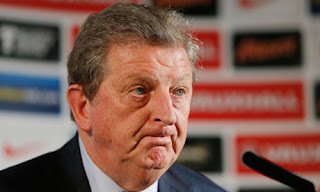 When I arrived I was told players didn’t turn up to play for their country or pulled out at the last minute. 'I have not seen any of that.These players love to play and their commitment has been exemplary. 'My staff have asked me to speak on their behalf. They came with me as part of my coaching team and they will leave with me. 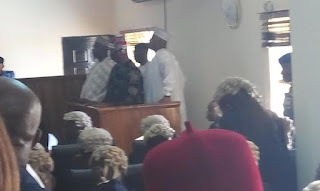 FG COURT TO ABIA STATE GOV- "VACATE YOUR OFFICE IMMEDIATELY"
Justice Okon Abang of a Federal High Court in Abuja has ordered the Governor of Abia State, Okezie Ikpeazu, to vacate his office immediately, after finding him guilty of submitting fake tax clearance document to the PDP during the party's governorship primary in December 2014. Ikpeazu's rival at the primary, Uche Ogah, had petitioned the court and provided evidence to show that Ikpeazu had indeed provided fake tax clearance to their party. After listening to the counsels of both politicians, the presiding judge ordered INEC to immediately issue a certificate of return to Ogah. About 2600 beneficiaries in Lagos now have access to capacity building opportunities annually through vocational centers supported by leading energy giant, Sahara Group. This is in keeping with Sahara’s quest to enhance economic growth and development in Nigeria. The centers which include The Lagos State Vocational Training and Skills Acquisition Center Surulere and the Oshodi Community Vocational Center, received support in 2014 and 2015from the Sahara Foundation. The Sahara Foundation is equally involved in several interventions in health, education and capacity building, environment and sustainability in its various locations across the globe. 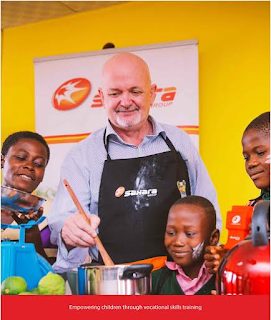 Executive Director and Co-Founder, Sahara Group, Tonye Cole said working with the centers has reinforced Sahara's belief that people can be empowered to excel beyond their limitations when linked with the right platforms, partnerships and opportunities. 1. Who will see vision about people's problems but will not give scriptural solution. If God reveals any problem, He must give solution. Any prophet that claims discernment of the cause of you problem but doesn't give accurate solution is using familiar spirit or is speaking presumptuously. 2. To stop giving people dry fasting as a solution to their problems. Some will quote Matt. 17:14-21, but they misunderstand what that scripture. It is the minister praying that must be the one to fast & pray. They should only "prescribe" fasting if the Holy Spirit directs in order not to worsen the person's condition. Troops made up of 21 Brigade and Civilian JTF yesterday conducted a fighting patrol at Zangebe, Maiwa, Algaiti and Mainari villages in which they killed 6 Boko Haram terrorists and wounded several others. The troops also liberated over 5,000 persons held hostages by Boko Haram terrorists and recovered 5 motorcycles and similar number of bicycles. Similarly, troops of 7 Division Garrison Rapid Deployment Force (RDF) II, in conjunction with some of elements of Mobile Police Force and Civilian JTF today also conducted Boko Haram terrorists clearance operations at Masu Yiwa, Ladin Buta, Bazaka, Kesa Gala, Tabla, Fahinde, Shirori, Gizina, Maska Aribe, Maska and Maska Lawanti villages, all in Mafa Local Government Area of Borno State. 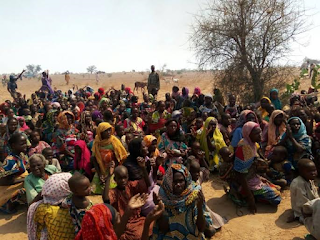 In a statement signed by the acting Director of Army Public Relations, Col Sani Kukasheka Usman, the troops encountered Boko Haram terrorists at Maska Lawanti in which they killed 2 terrorists and recovered 2 motorcycles. 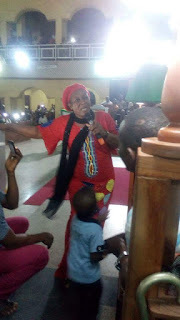 The young lady pictured above is that wicked woman that committed such a callous act on an innocent boy out of jealousy. According to Zuma Times Hausa, her name is Bara’atu and the little boy is still in the hospital trying to survive. The doctors are also trying to find a way for him to urinate. 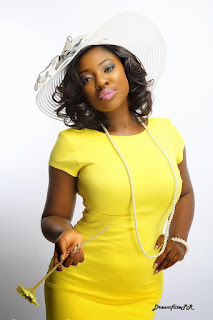 Nollywood actress, Yvonne Jegede was almost stranded in Delta State after pageant organizer refuses to pay for hotel bills and return ticket to Lagos, for standing for truth and justice. Our very own Falz The Bad Guy has won the award for “Best New International Act” at the 2016 BET Awards Viewers’ Choice. The BET Awards is currently holding at the Microsoft Theater, Los Angeles. Stay tuned for the complete list of winners. 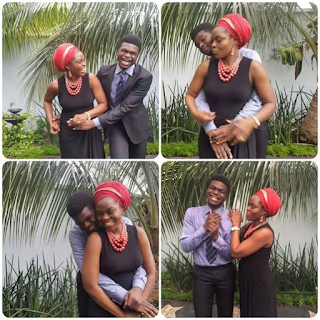 A Nigerian woman known as Nneka Anyachebelu took to Facebook to celebrate her only son who turned 18 yesterday, June 24. In the post she talked about her trails and tribulations concerning her son who suffered from autism. Read the post below. "I PRAYED FOR HIM TO DIE. Dont judge me, wait untill you hear me out.#‎Dilemma‬#Myonlyson#Autism#nohope#prayernotanswered#gaveupthefight# He was a healthy awesome child when I had him but by age 2 we noticed there was something wrong. There was no eye contact, he could not talk, didnt understand instructions, and so many other bad vibes. That was when my nightmare started. I ran from pillar to post seeking solution. In some places they said he was partially deaf at others they said it was Autism. Up untill then I never heard the word Autism. The information I got about it was frightening and I saw those signs clearly in my son. Two communities in Lagos and Ogun states have been deserted following attacks by some suspected militants. The adjourning communities Elepete and Muti both in Igbo-Olomu, Ikorodu and Ita-Oluwo, Ifo local government of Ogun State have been deserted for days after about 18 of the residents were killed by the suspected militants. Scores of the residents have fled for safety for fear of attacks. Following allegations that some senior military officers were plotting to overthrow the government of President Muhammadu Buhari, the Chief of Army Staff, Lt-Gen. Tukur Buratai, Friday, summoned senior officers to the army headquarters in Abuja, to review the security situation in the country. Recall that a consolidated group of militants, the Joint Niger Delta Liberation Force (JNDLF), on Wednesday, claimed that some senior military officers sought its assistance to over-throw the current administration through the continuous bombings of oil facilities in the Niger Delta region. Against this backdrop, the Nigerian Army, today, reaffirmed its allegiance and loyalty to civil authority and the Nigerian Constitution. Maj.-Gen. Adeniyi Oyebade, the General Officer Commanding (GOC), 1 Division of the Nigerian Army, stated this in Abuja today, at an emergency meeting between top army commanders and the Chief of Army Staff, Lt.-Gen. Tukur Buratai. What are some of those things you should never say to an actor in Nollywood, Kannywood or the newly founded Callywood? Check out some of those things which can be seen as offensive by an actor. 1. Nollywood has the highest number of mediocres in a single industry. 2. So you are an actor? I have never seen your work. 3. What's your real job? 4. Do you pay for all those likes on your social media page? 5. How did your movie gross millions at the box office? My cinema hall was empty. 6. Are you an upcoming actor? Are you famous? 7. So you feature in Yoruba movies, when do you plan making your Nollywood debut? 8. Are you an Asaba or New Nollywood actor? 9. I don't watch Nollywood movies. 10. You are an overrated/underrated award winning actor. 11. Anyone can act, it is not that difficult. 12. Is it true all actresses sleep their way in? 13. What do you do for money? Do you have another job? 14. Do you know any famous person? Johnny Manziel's attorney accidentally texted an AP reporter about Johnny's domestic violence case, alleged drug use and more ... in one of the most epic screwups of all time. The AP reporter had reached out to Bob Hinton seeking a comment on Johnny's hit-and-run case. What the reporter got back was a lengthy message he wasn't supposed to see ... a message intended for another attorney. -- Hinton said his team are seeking a plea deal in the Colleen Crowley domestic violence case ... and that the D.A. is "very interested in working with us to arrive at some agreement." -- Hinton suggested Manziel would be in trouble if one of the terms of the plea deal included drug testing ... saying, "Heaven help us if one of the conditions is to pee in a bottle." - A woman who contends Bill Cosby sexually assaulted her in 1965 withdrew a lawsuit against the comedian on Friday, a day after a federal judge in Massachusetts had blocked an effort by the entertainer’s attorneys have the suit dismissed. In a brief filing in U.S. District Court in Springfield, Massachusetts, Ruehli did not say why she was withdrawing a suit filed in 2015. Her lawyers did not immediately respond to a request for comment, but the Washington Post quoted Ruehli as saying that she had accomplished her goal of drawing attention to Cosby’s alleged sexual assaults. 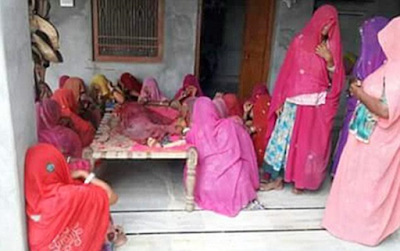 According to local media, she died due to unavailability of blood transfusion equipment or 'giving set' at the hospital. 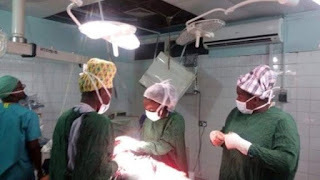 But the medical Director of Effa Nkwanta Hospital, Dr. Kwau Ntodi in an interview with Joy News correspondent Francis Whajah denied the report. He said the lady could have died even if the incident had not happened because she had a ruptured uterus. 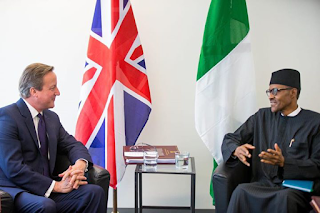 President Buhari has said he regrets the resignation of British Prime Minister David Cameron, which will come into effect in October. In a statement released by his Senior Special Assistant on Media and Publicity, Shehu Garba, President Buhari said Nigeria has enjoyed remarkable goodwill, support and understanding under the capable leadership of the outgoing Prime Minister over the years. The Asset Management Corporation of Nigeria has taken over the assets of three companies belonging to Senator Ben Murray Bruce, which includ the Silverbird Galleria Limited, Silverbird Promotions Limited, and Silverbird Showtime Limited. The assets are being seized following the failure of Senator Murray-Bruce and his brothers to settle an N11 billion loan owed Union Bank, which was acquired by AMCON under its debts purchase mandate. Google wants to make your Google account as safe as paradise. Hackers have been finding ways to break into accounts as such Google is getting more dedicate to welding more barb wires to fence your account against any such hacker-burglary. Now having made success with the two-step verification enabled on your Google account which is one very reliable approach to maintaining safety for your Google account, Google is taking one proactive step further in introducing another means to verification of your log-in attempts tagged a “Google prompt.” Now in company of the Google Authenticator app, text messages as well as security keys happen to be the active alternatives to simply verifying log-in attempts by means of unlocking a registered phone — the feature is up available for Google Apps accounts, also been generously extended to personal Google accounts as well. A photo of a man said to be one of the Branch Managers of Zenith Bank in Ekiti state kneeling before Governor Ayo Fayose has gone viral. The incident took place when a management team from Zenith Bank Plc visited Ekiti State Governor, Fayose, over the involvement of the bank in the funding of the June 21, 2014 governorship election of the governor. Their visit to the governor followed a reported denial by the bank that it was not part of the funding of the election. The team was led by an Executive Director, Sola Oladipo. It also had two zonal directors of the bank and the Ado-Ekiti branch manager. According to the 'Fourth Annual Sexiest Nationality List', released by Miss Tavel.com, Canadian men are the hottest in world, Australian men come in third behind the Americans which is no surprise thanks to the Hemsworth brothers. Meanwhile American women top the female stakes followed by Armenian women. In the study, men were asked to rank which qualities contributed to attractiveness when they were dating. Facial features and hair colour ranked the highest, with 41 and 34 per cent respectively. The women surveyed say personality is the quality which most affected their decision. No African country made the list. 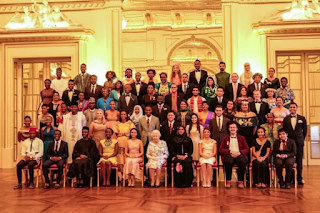 Elizabeth II on Thursday evening presented awards to the 2016 Queens' Young Leaders from 60 exceptional young leaders from 45 Commonwealth nations, including three Nigerians- Olanrewaju Adeloye, Imrana Alhaji Buba and Olumide Femi Makanjuola, in a special ceremony at Buckingham Palace. Prince Harry and football star David Beckham who attended the ceremony hailed inspirational young people from across the Commonwealth as role models to others as their achievements were honoured by the Queen. Harry described the 60 winners of the Queen’s Young Leaders Awards as “an inspiration to so many” when they received medals for showing exceptional leadership in their communities. 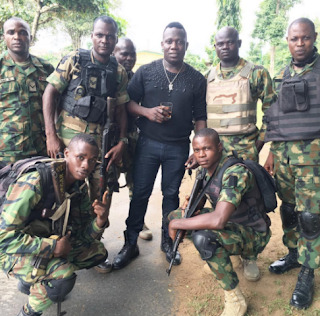 Duncan Mighty, a Nigerian musician who is from Rivers state, shared the photo above on his IG page and wrote "With MA Squaddie. Proud of my Job.. Successful meeting with the Niger Delta Avengers. It is only peace that can bring about sustainable development in our region #nigerdeltayouthpresident #southsouthbrandambassador"
Chris Brown is in yet another controversy for allegedly raising his hands again. According to court documents obtained by E! 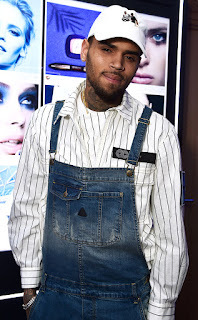 News,Brown's manager Michael Guirguis, also known as Mike G, filed a lawsuit against Chris for assault, battery, false imprisonment, intentional infliction of emotional distress, breach of contract and breach of implied covenant of good faith and fair dealing after he alleges the singer "brutally" attacked him in early May before embarking on his European tour. The manager claims Brown was in a "drug-fueled" rage when he attacked him in a room and punched him four times in the face and neck—injuries that ultimately led to an emergency room visit. The documents state that the singer allegedly took to social media afterward, "boasting" to his friends about the incident. Colorado could become the first state in the union to offer its citizens universal, single-payer health care if voters approve an amendment on November's ballot. Supporters hope that if Amendment 69, known as ColoradoCare, passes, other states will follow. "The way to get here is state by state," according to T.R. Reid, spokesman for ColoradoCare and author of "The Healing of America." "That's how we got female suffrage, child labor laws, interracial marriage, marijuana. One state does it and the other states see that it works and it spreads." Proponents believe Colorado is the perfect testing ground for this issue because its constitution is far easier to amend than most other states. They cite the passage in 2012 of an amendment legalizing recreational marijuana despite the opposition of nearly every elected official in the state. 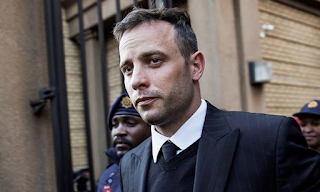 Oscar Pistorius has admitted he deserves a long jail sentence for killing Reeva Steenkamp but vehemently denied he murdered her, insisting that the 2013 shooting was not premeditated. In his first TV interview since Reeva's death, Pistorius said he "couldn’t disagree" with those who felt he should be punished. "At times I don’t feel like I should have the right to live for taking someone else’s life. What’s difficult is dealing with the charge of murder," he said. But Pistorius said he did not want to "waste my life" behind bars. "If I was afforded the opportunity of redemption I would like to help the less fortunate like I had in my past," he said. "I would like to believe that if Reeva could look down upon me that she would want me to live that life."